There is a reason turmeric is a core ingredient in beauty rituals and medicinal regimes all the way from Japan and Indonesia to Sri Lanka and India. Multiple reasons, actually: this yellow-colored spice is a potent anti-inflammatory, anti-fungal, antibacterial, antioxidant and detoxifier. It keeps skin soft and smooth, makes it glow, tackles acne and helps bust hyper-pigmentation. 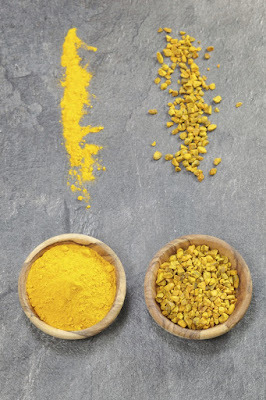 Turmeric paste is also prescribed in Indian medicine for various skincare issues, like puffiness, wrinkles and eczema. Besides this, it is used for cuts and burns due to its antiseptic effect and ability to promote healing. In addition, turmeric boosts liver detoxification, so that pesticides and other environmental chemicals are safely removed from the body. And it can help to decrease muscle soreness after an intense workout. In fact, turmeric is currently even being investigated for possible benefits in Alzheimer’s, cancer and arthritis. 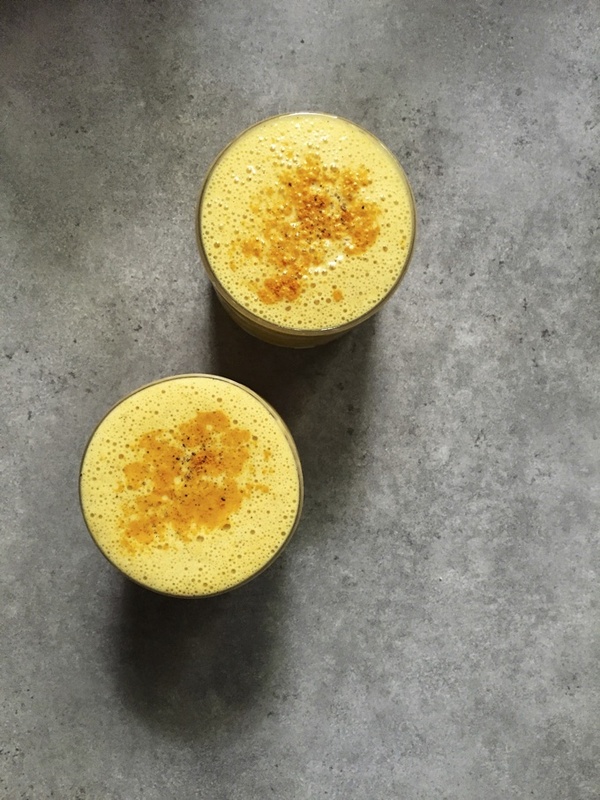 Surprise: Turmeric doesn’t always stain your skin! Many of us balk at putting turmeric on our skin for fear of looking like a character out of The Simpsons. I resisted it for quite some time as well – right until I attended an Indian wedding, where the bride was covered from head-to-toe in a mixture of turmeric, gram flour, sandalwood powder and mustard oil. It turned out this is an ancient bridal ritual to deep cleanse the body and impart a radiant glow. A similar tradition is held sacred in the palaces of Indonesia, where brides-to-be rub a mixture of turmeric and gram flour on their bodies on the morning of their wedding to give their skin a golden glow. Which led me to think: brides wouldn’t risk turning yellow hours before their wedding, would they? Turns out, turmeric has got an unfair reputation. Pure, organic turmeric doesn’t leave a permanent yellow stain; rather, it’s the artificial dyes added to the supermarket stuff that stains skin with the unflattering hue. 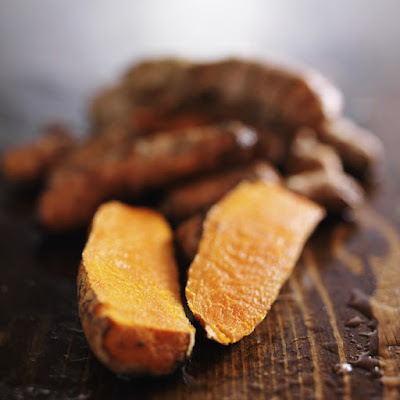 If you want to be extra careful, look for kasturi turmeric (curcuma aromatica), which is intrinsically non-staining and is superb at clearing acne, inhibiting facial hair growth and brightening the complexion. However, it is not edible and should only be used externally. Even if you can’t find kasturi turmeric, don’t worry. Just make sure there is a fair amount of milk in your beauty ritual – this cancels out the staining. And absolute worse case situation, mix some water with sugar and scrub your face with the solution. This will leave your skin super-clean and stain-free! Now, with that sorted, it’s time to remember that this potent ingredient is even cropping up in leading skincare products like Ole Henriksen Visual Truth Eye Creme and DDF Anti-Ageing Restorative Advanced Firming Cream. So, it’s definitely worth a try in the natural form! Just note: whole turmeric (which you grind into a paste with a little water) trumps powder; and organic powder trumps the non-organic version in potency. Mix chickpea (or rice) flour with turmeric powder in equal proportions. Add just enough raw milk or plain yogurt to make a paste. Apply evenly to the face and leave on for about 10-15 minutes; wash off with warm water. 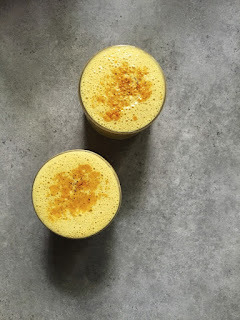 Mix one tablespoon of turmeric with a few drops of milk. Apply on skin for 15-20 minutes and then wash off with plain water. This will both reduce active acne and lighten the scars. Mix 2 tablespoons of sandalwood powder, a pinch of turmeric powder and a few drops of lemon juice. Add enough milk to make a paste. Apply this mask on your face and neck; wash off with warm water once dry. Add 1½ tablespoons sandalwood powder and a pinch of ground turmeric to 3 tablespoons of orange juice and apply the paste to your face. Leave on for about 10-15 minutes, then rinse with lukewarm water. Mix turmeric powder and rice powder with equal amounts of raw milk and tomato juice to make a paste. Apply this paste to face and neck for 30 minutes, then rinse with lukewarm water. Mix kasturi turmeric with chickpea flour. Leave on for 10-15 minutes, then wash off in light circular motions. Make a paste of turmeric and sugar and apply it all over the skin. Leave on for a couple of hours and then scrub gently. A regular application of this paste discourages hair growth altogether. Add 1 tablespoon of turmeric to a cup of jojoba, olive or coconut oil. Massage this mixture into your scalp and leave on for 15 minutes, then shampoo as usual. This is a great deterrent for dandruff and improves the scalp’s overall condition. Dr. Andrew Weil notes that people in Okinawa, the Japanese island nation with the world’s longest average life span, drink turmeric tea daily. To make your own, boil 4 cups of water, add 1 teaspoon of ground turmeric, allow to simmer for 10 minutes, strain and add ginger and/or honey to taste. Boil a half-inch piece of turmeric with half a glass of milk. Once the milk has turned yellow, remove from heat, let it cool slightly drink thrice a week, at night. You can add a tablespoon of turmeric powder in place of the turmeric piece. This will help you gain strength, protect the body against infections and strengthen bones (thereby reducing the risk of osteoporosis). 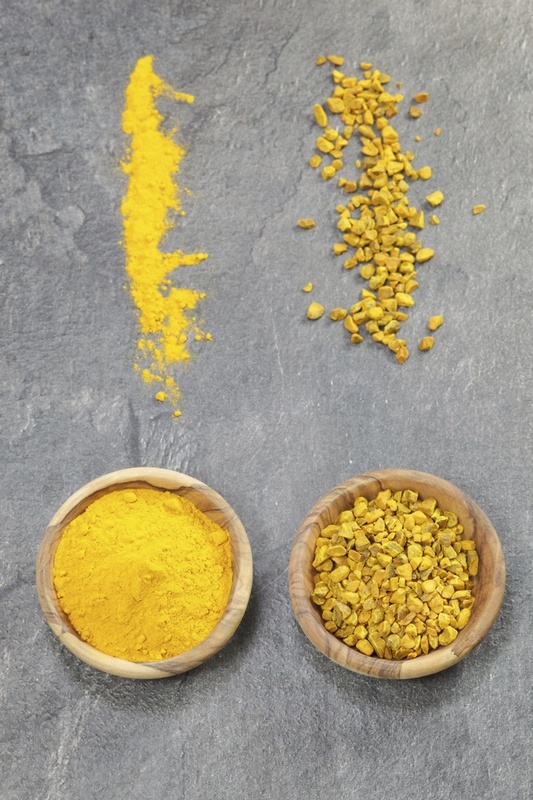 Have you ever used turmeric as a beauty ingredient? I heard something about turmeric but never tried to cook it. Is it really that good? I would like to try it then. It won't release all my problems and definitely won't tell me how to write papers in college, but I think if it will make my skin look better - it will be great result!